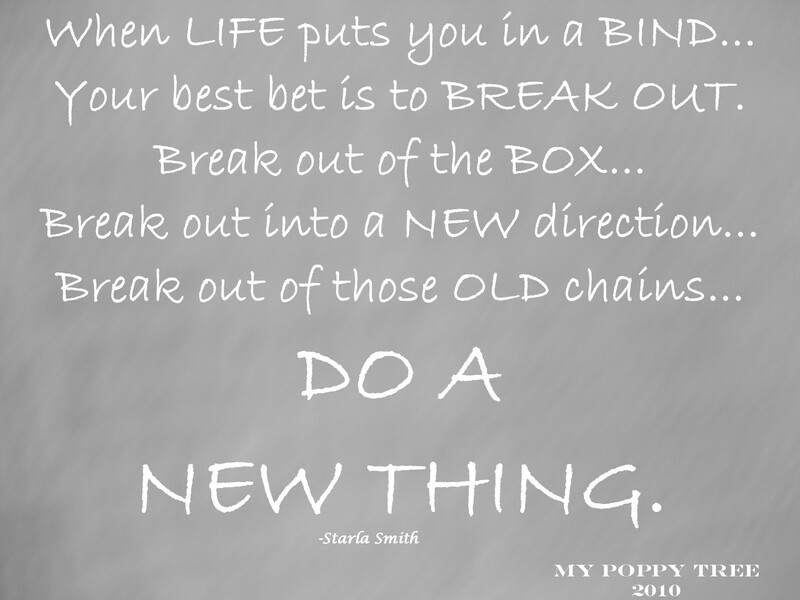 BREAK OUT…………….God’s doing a NEW THING. Out from within….God is gonna BREAKOUT!!! Out from within…a NEW DAY is dawning!!! are you going to LET IT!! This is a GREAT post for a Monday morning! !